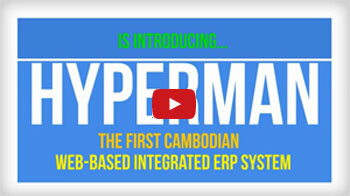 Hyperman, is an online web-based collaborative business solutions software suite. It enables all-in-one system administration from HR to CRM, from Inventory to Billing, Receipt and Account Receivables, from Payment and Account Payable to General Ledger. It is a user friendly, simple but powerful, easy to use and fully functioning web-based application which users and system administrators can access from anywhere at anytime using any devices. It also provides a collaborative place where people communicate securely and effectively.